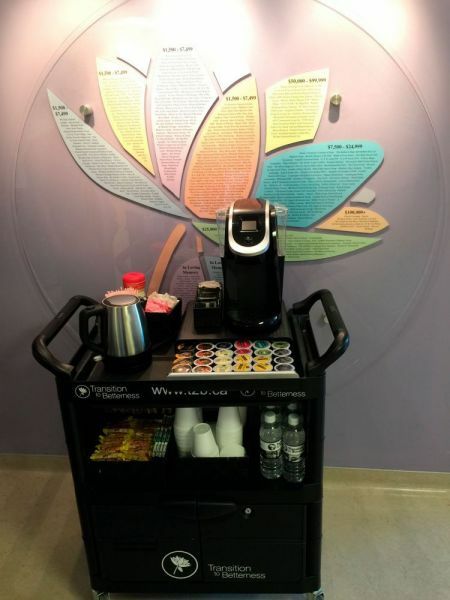 The T2B Hospitality Café was lauched in 2015 with the purpose of providing the families of palliative patients with beverages and snacks at the bedside so that they can stay close to their loved ones. 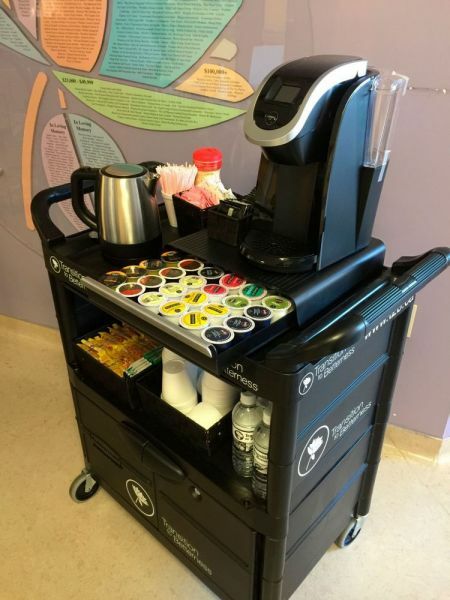 There are three carts in operation at Windsor Regional Hospital’s Met Campus. With the help of the staff at WRH, T2B is able to provide this comfort whenever there is a need.